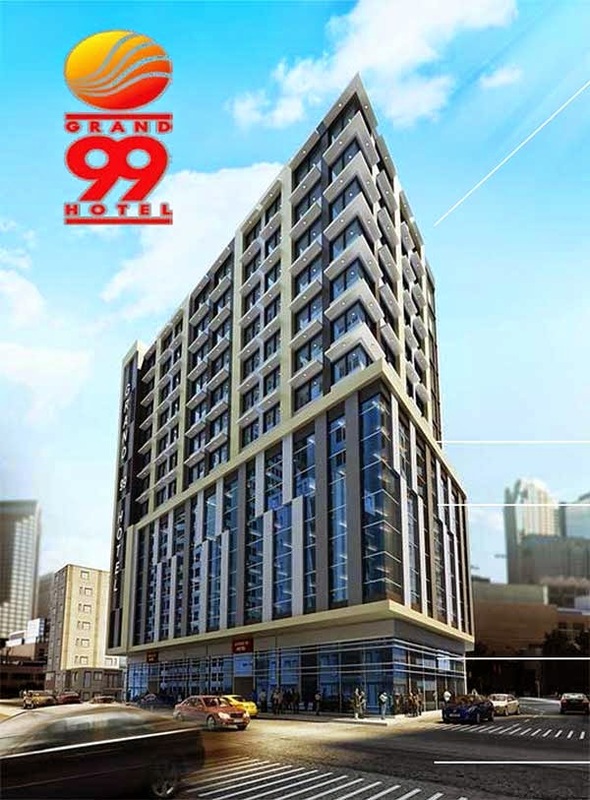 Grand 99 Hotel is the new launch mixed commercial spaces and hotel rooms development situated in busy area close to Mall of Asia at Pasay City, Metro Manila. A rare 12-storey project by Sunland Development Corporation, standing in a 12-storey development with a total of 258 units. The building design of Grand 99 Hotel proposes a contemporary and impressive appearance, every corner is well designed to maximize hotel experience and complement the specific lifestyle. The first 4 floors of Grand 99 Hotel will be host to numerous shops and even stalls proposing the general public and hotel visitors a different collection of merchandise and products as well. This wonderful development is located near to numerous commercial amenities like Manila Solaire Casino and Makati Central Business District (CBD). It is placed adjacent to renowned shopping places like Metropoint Shopping Mall and Mall of Asia. Grand 99 Hotel is only 15 minutes drive to the Makati Central Business District and the airport. The area also has 2 railways nearby such as MRT Line 3 and LRT Line 1. Grand 99 Hotel is highly accessible with excellent expressways nearby, including NAIA Expressway, South Luzon Expressway and Metro Manila Skyway. Have a look http://www.grand99hotel.net/ for more information or speak to the marketing group for inquiries.